After I set my recliner to its upright position, tossed my 3D glasses in the appropriate bin, and exited the theater after watching Alfonso Cuarón&apos;s Gravity, I felt like Aldous Huxley, the early 20th-century novelist, leaving The Jazz Singer, arguably the first film to use synchronized sound. The "talkies" offended Huxley because of the technological breakthrough in sound. In an essay called "Silence is Golden," he wrote that this revolutionary innovation was "the latest and most frightful creation-saving device for a production of standardized amusement." In his dystopian masterpiece, Brave New World, Huxley imagines his fear by creating the "feelies," where moviegoers strap into a device that allows them to feel and smell as much as they see and hear. I worry, like Huxley did after the revolutionary breakthrough of synchronized sound, that Gravity&apos;s mystical use of 3D technology lends itself to passive consumption, favoring visceral experiences over intellectual readings. I&apos;m not saying that Gravity was shallow or vapid like Huxley rendered his feelies. In fact, I found it brilliant. Though there was far more to the film than its stunning 3D experience, it&apos;s technical prowess has been the focus of the film&apos;s reception. The film&apos;s own ad campaign stresses the film&apos;s technological aspects over the story itself. Its TV spots flash quotes like, "It&apos;s one of the most awe-inspiring achievements in the history of special-effects cinema," from Tom Huddleston of Time Out London, and "It&apos;s an experience none of us could have dreamed of until now," from Joe Morgenstern of The Wall Street Journal. It&apos;s a smart strategy — what sets Gravity apart from its peers is its groundbreaking cinematography. But to me, the film was as much about conflicting ideologies as it was about creating the effect of physically feeling like you&apos;re in space. Take the main characters, played by George Clooney and Sandra Bullock. When people discuss Clooney&apos;s performance, they inevitably say, "He was funny," or mention the words, "comedic relief." But he brought much more to the film than levity. This mission in space is his last. His retirement looms back on Earth. He&apos;s there to take in the beauty of space one last time, floating around with his jetpack aimlessly and telling stories about Mardi Gras and other frat boyish things. Michael Morgenstern of Huffington Post, who wrote against the film, referred to Clooney&apos;s character, Matt, as, "a one-liner spouting &apos;it&apos;s gonna be a wild ride!&apos; cowboy jock who doesn&apos;t have much nuance," but I found the character to be the opposite. Clooney&apos;s guidance of the serious female astronaut played by Bullock, whose personal tragedy propelled her to the level of success required to become an astronaut, becomes more complex and nuanced as the film progresses. Cuarón inverts these stock characters of the experienced male and inexperienced female in unexpected and refreshing ways throughout the film. His treatment of the characters is as innovative, in many ways, as his technical achievements. In a sense, Gravity&apos;s themes beg this kind of visually-oriented reception. The film stresses enjoying the beauties of life — changing your perspective on the everyday as if you were seeing earth from afar for the first time. But just as Bullock&apos;s character needs to learn to savor life, audience members need to do more than just enjoy feeling like they&apos;re in space, and 3D tends to emphasize the feeling of awe over its thematic use. My point is that too many people are missing the point of films like Gravity. Harkening back to the TV spots, the ad campaign&apos;s favorite quote seems to be from Richard Corliss of TIME, who said, "Gravity shows us the glory of cinema&apos;s future." Again, he&apos;s right. The film&apos;s technical aspects enhance its viewing experience and offer a shining example of how special effects should be used. But Gravity isn&apos;t exclusively an immersive roller coaster. When it comes to artistry, the film&apos;s storytelling rivals its masterful use of green screens. The main issue I have with dazzling special effects is that they seem to distract us. Science fiction offers more than just stunning visuals and entertainment; it provides a valuable mirror for us to critique ourselves with. If we focus solely on films&apos; technological achievements, we&apos;re leaving half of their value untouched. I fear that Gravity&apos;s transcendent use of 3D will exacerbate the issue of passively watching film. 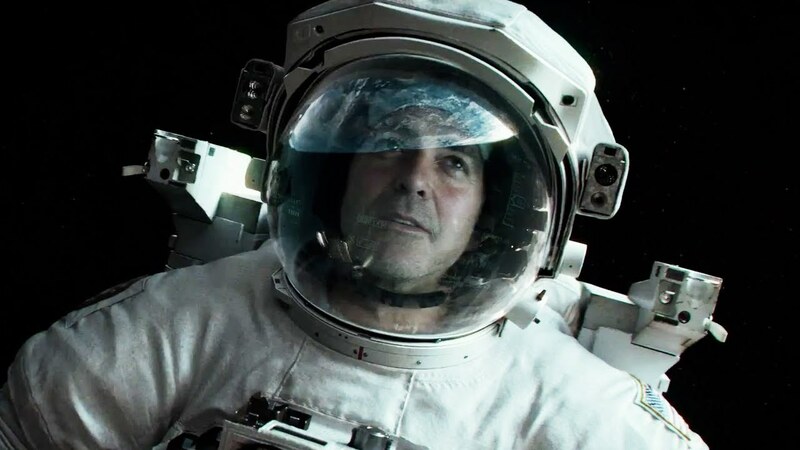 Instead of focusing on intellectual quality, filmmakers will attempt to recreate Gravity&apos;s sensory effects and roll out shallow films with little else to offer. If sensory and not intellectual entertainment is in demand, Hollywood will supply. Sure, that already happens, but Gravity brings Huxley&apos;s vapid feelies one-step closer to reality. Art isn&apos;t solely about distracting oneself from life. It&apos;s about enhancing life. Gravity does both. Those who sit back and mindlessly consume the film or its peers as a short break from life&apos;s drudgeries — as an escape to space rather than a reimagining of earth — are just missing the point.